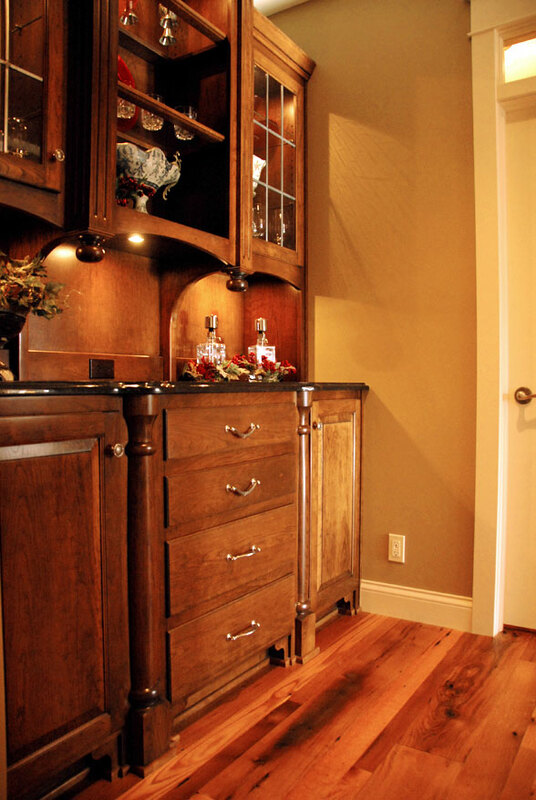 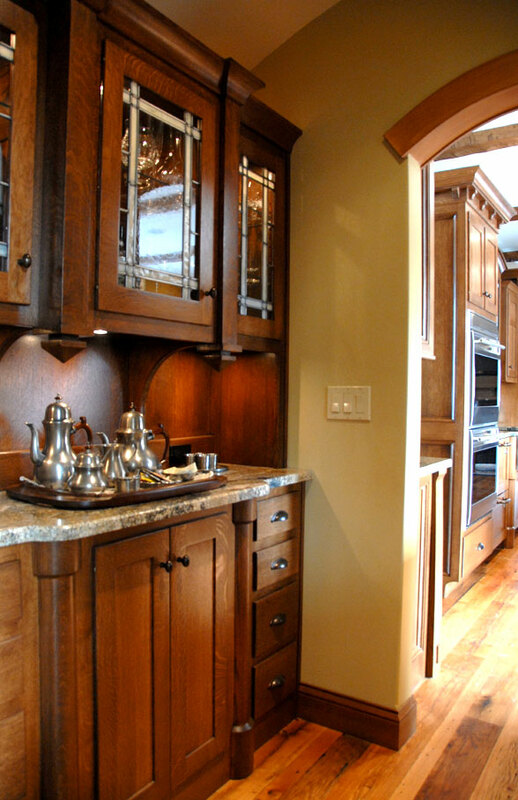 The old is becoming new again as the old fashioned Butler’s pantry is making a comeback in new home construction and Randall Cabinets and Design has designed and built some beautiful pantries in central Illinois. 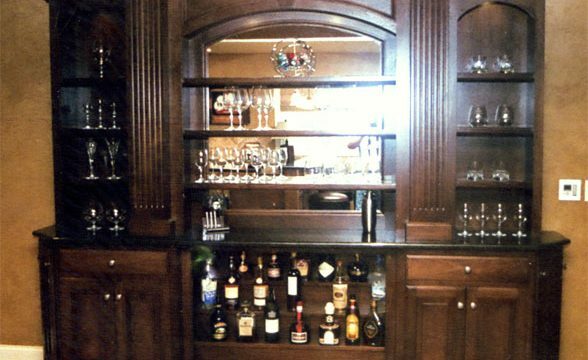 Randall Cabinets & Design can help you create a relaxing environment to enjoy a quiet evening at home or an evening with friends. 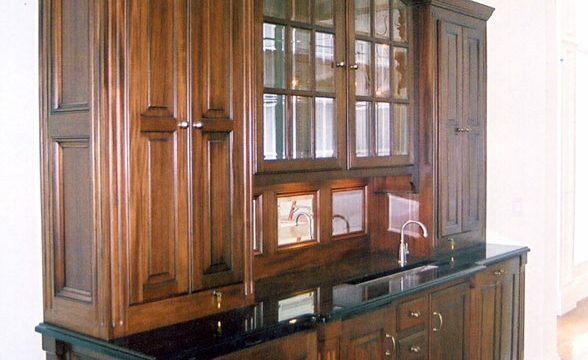 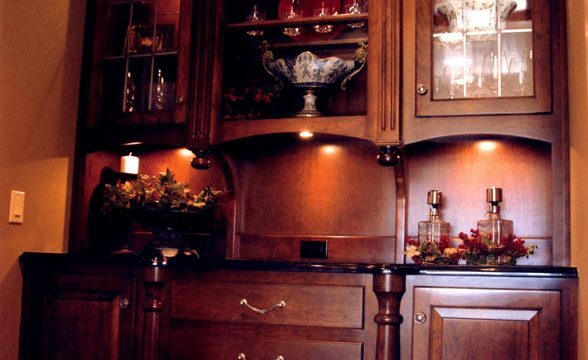 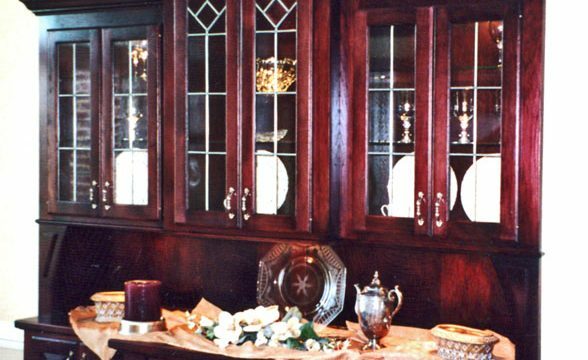 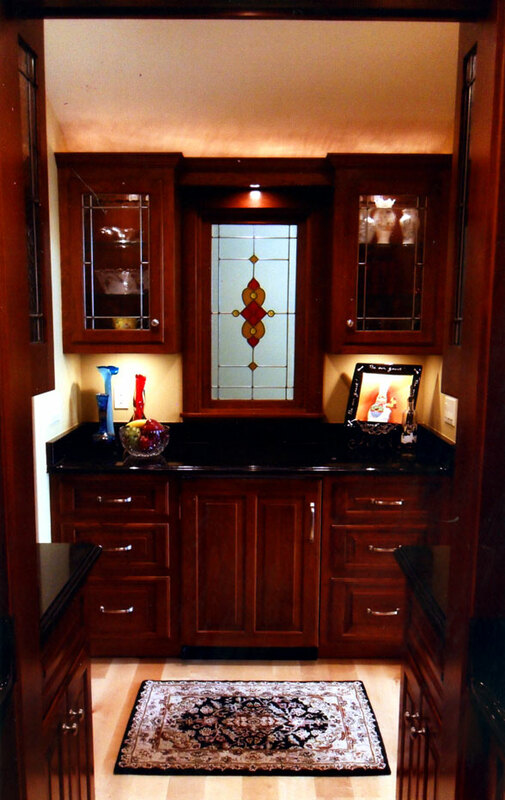 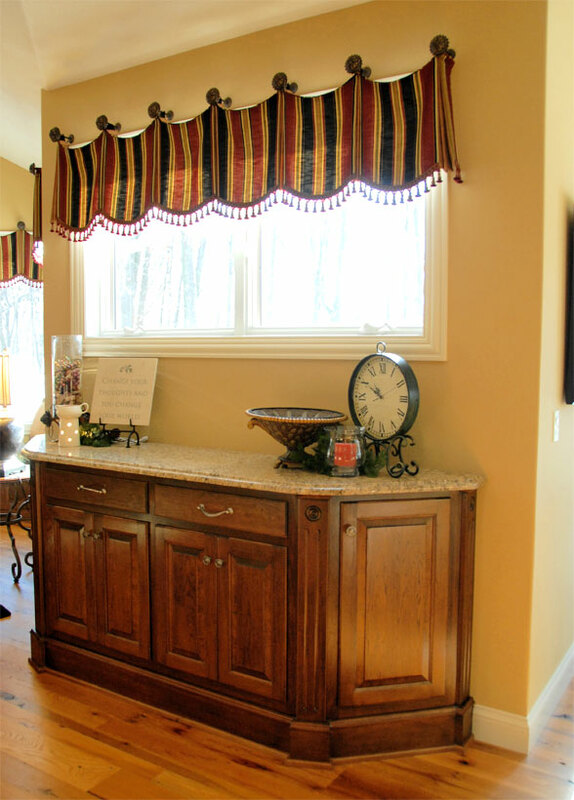 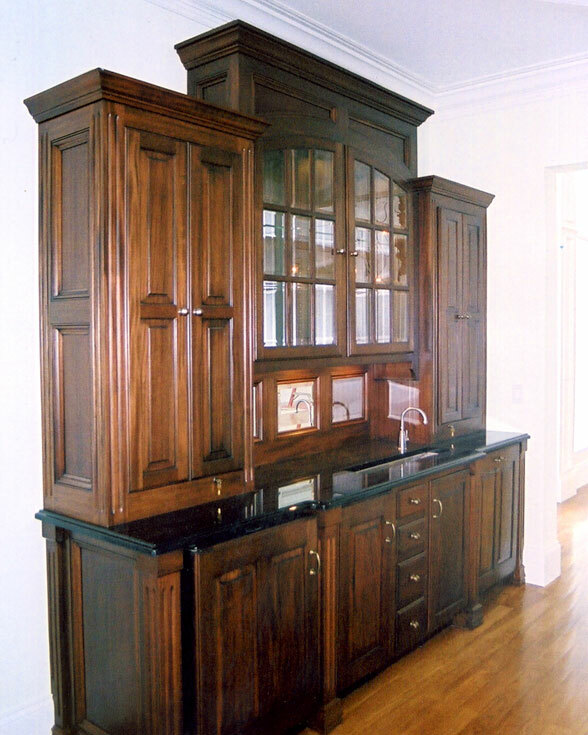 We design and build beautiful custom china cabinets and side boards ready to tastefully offer up wonderful treats you have prepared for your guests. 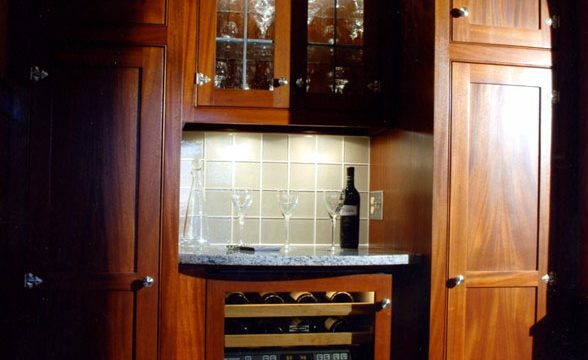 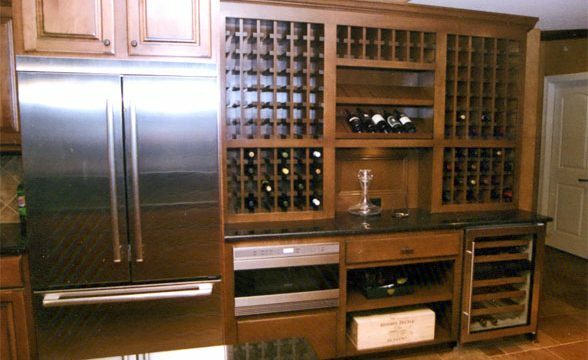 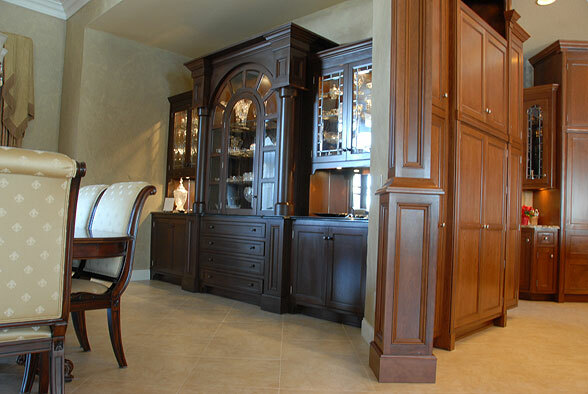 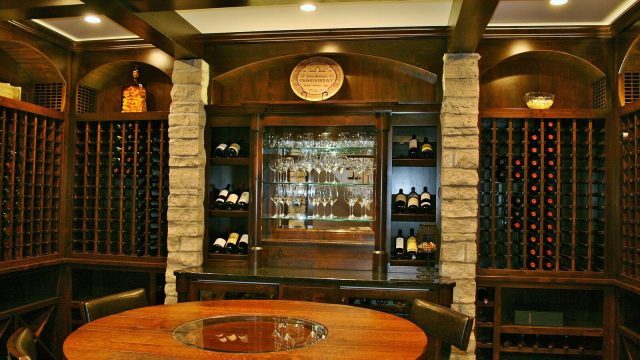 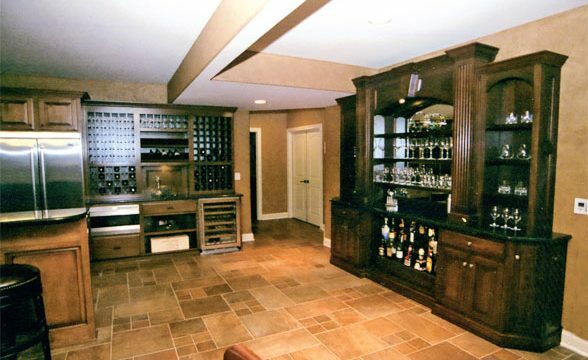 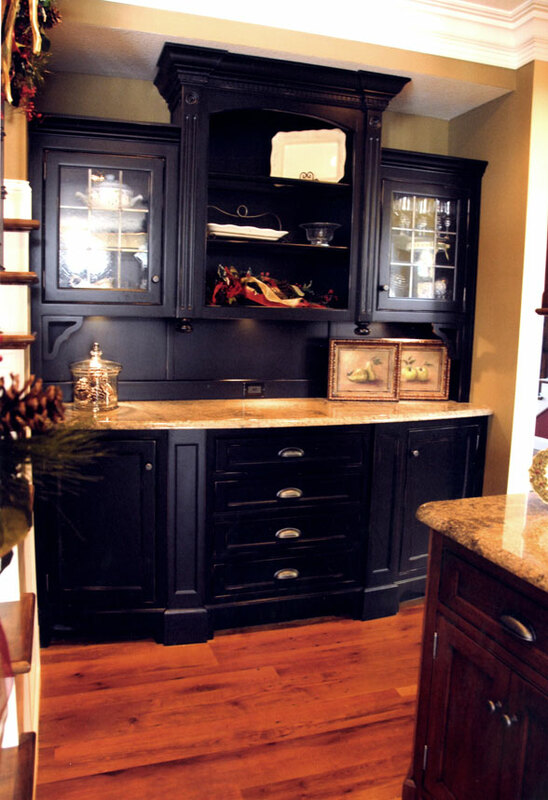 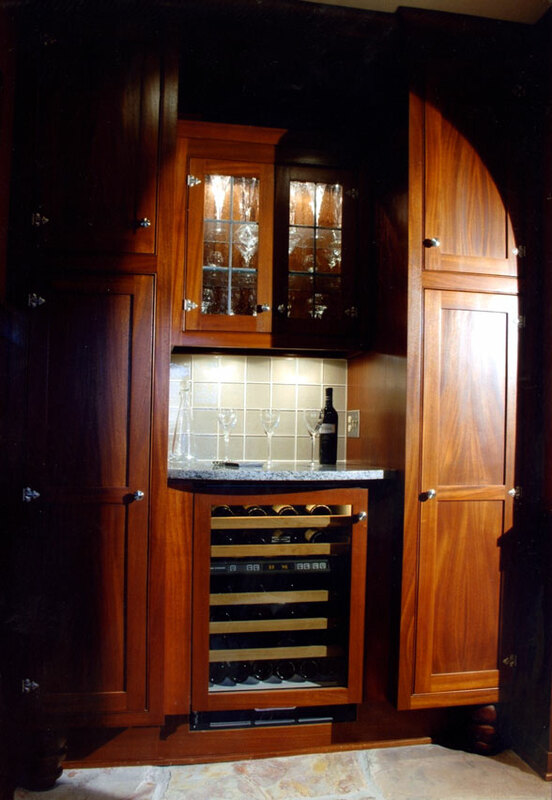 Our custom bars and wine storage cabinets will complement any area and will add to the beauty of the room. 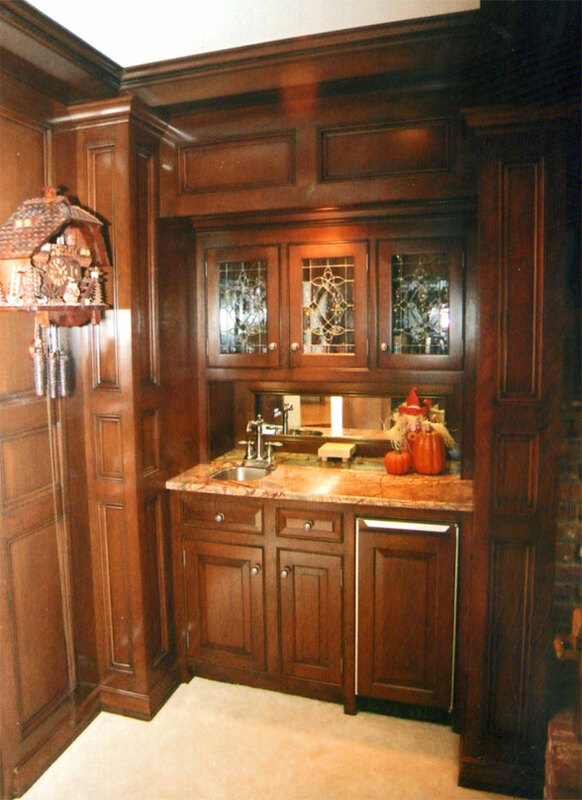 Again emphasis is on design as well as function as special consideration is given for the uses and audio/visual needs of the room. 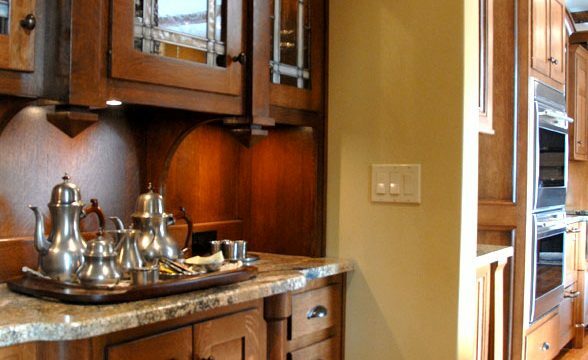 Attention to detail is critical to create a design that will allow traffic flow to run smoothly with the area as well as be functional, useful and beautiful. 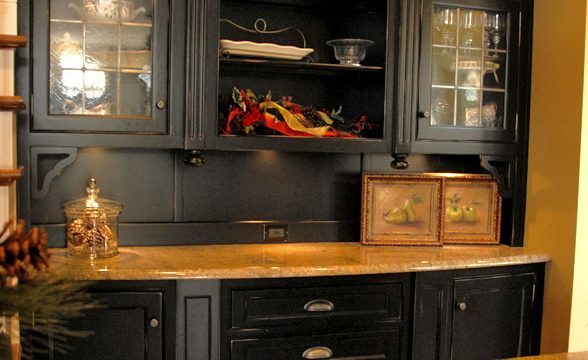 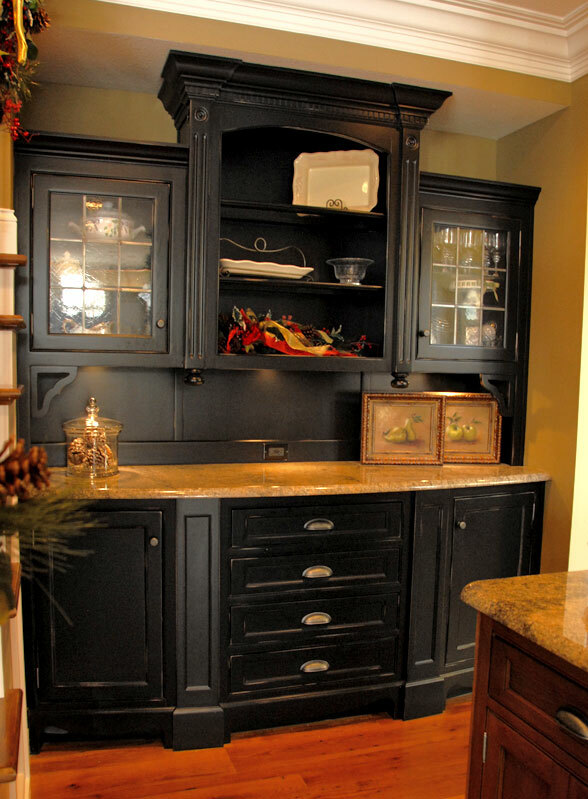 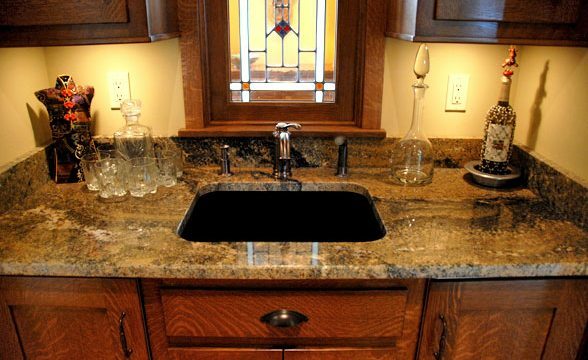 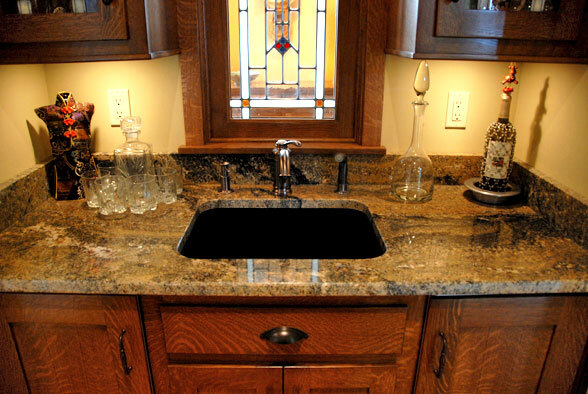 A marriage of dark wood tones and elegant stone countertop. 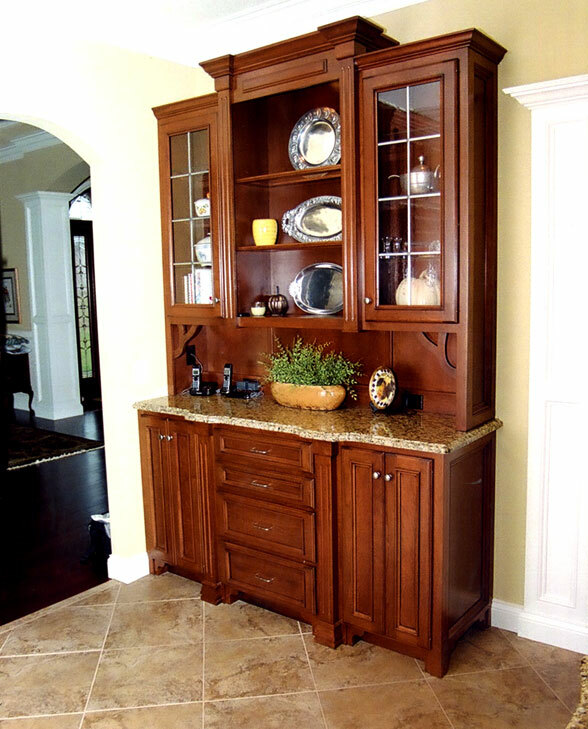 Turned columns and glass doors make this built-in cabinet stand out. 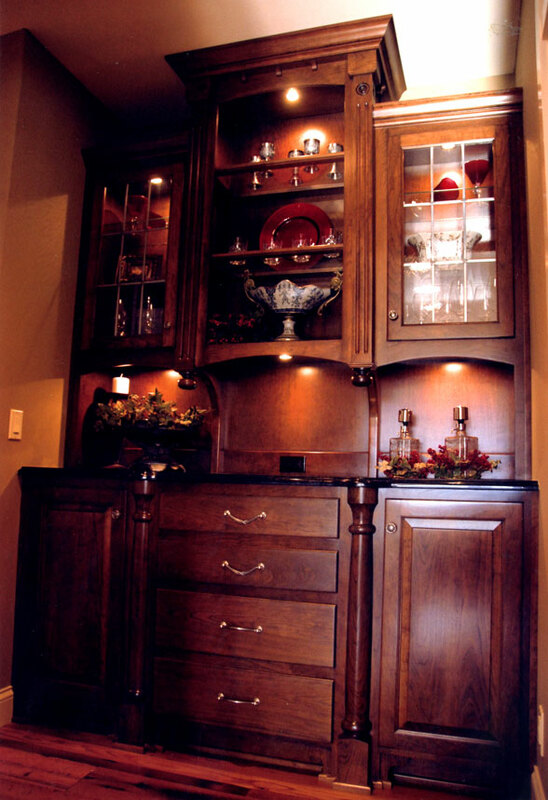 Dark elegant wood is illuminated by under counter lights. 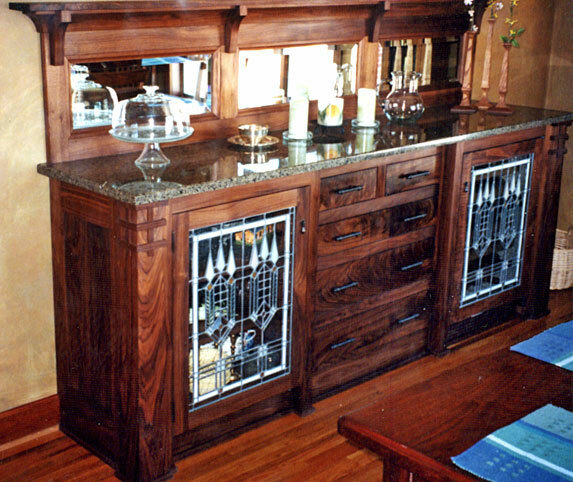 This section includes leaded glass and a Sub Zero wine cooler. 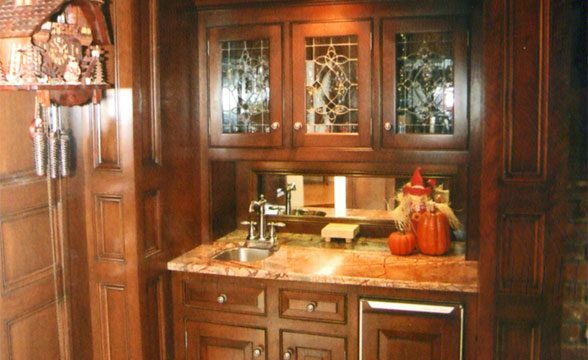 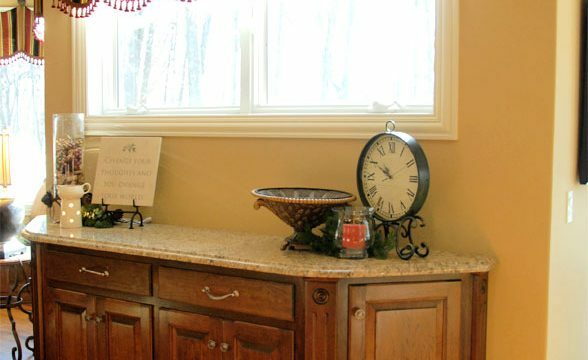 This cabinet even features a built-in sink and granite countertops. 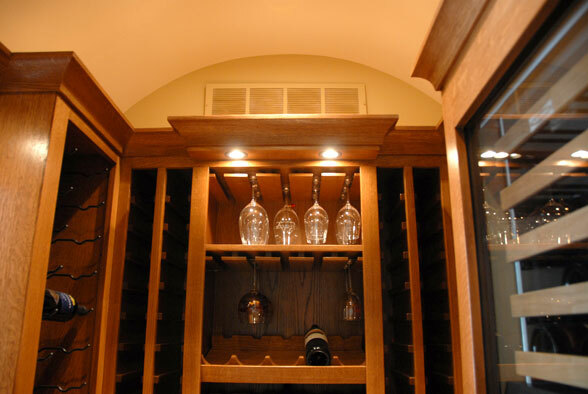 Custom wine storage racks and Sub Zero wine cooler below. 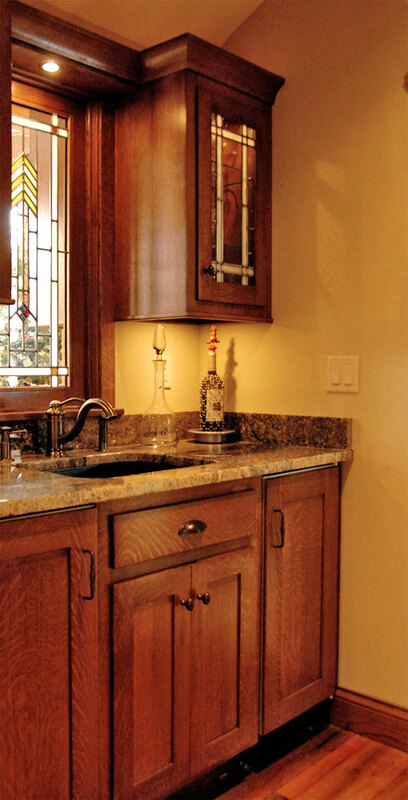 The leaded glass displays your fine China. 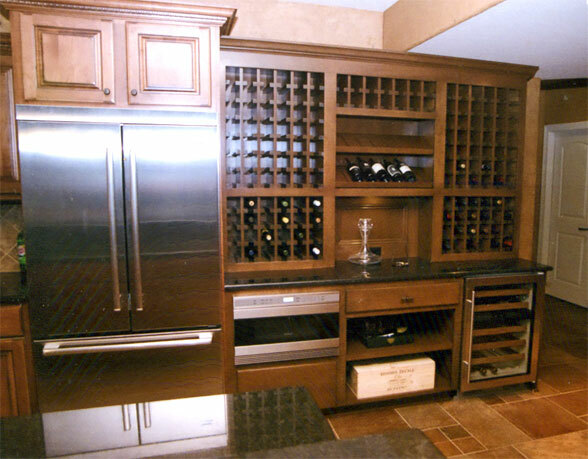 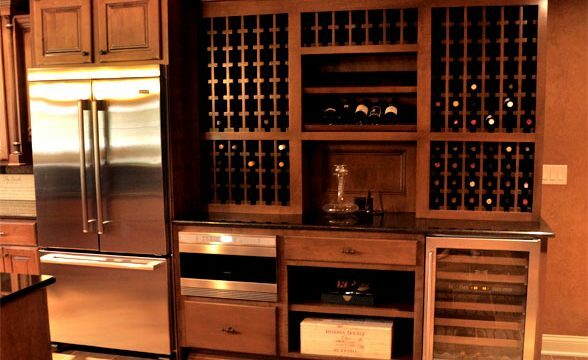 The under-cabinet wine storage is camouflaged by the solid wood panels surrounding it. 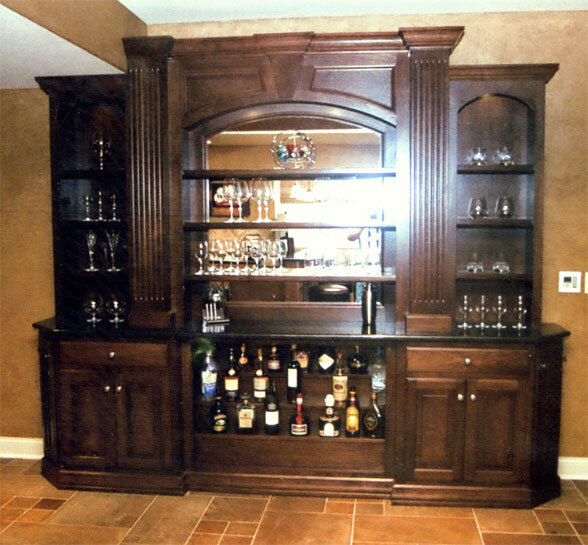 Not only can you showcase your fine liquor in this grand cabinet, you can also display your fine crystal glasses. 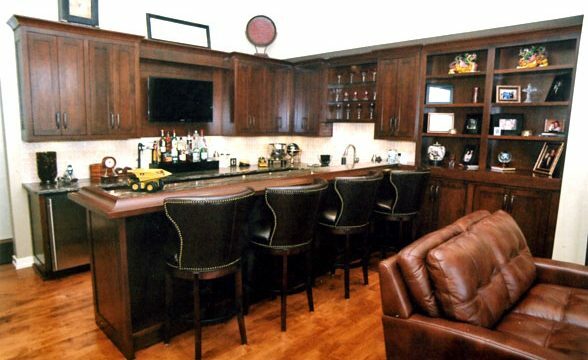 Elegant custom entertainment area that includes a full bar with wine storage and bookshelves. 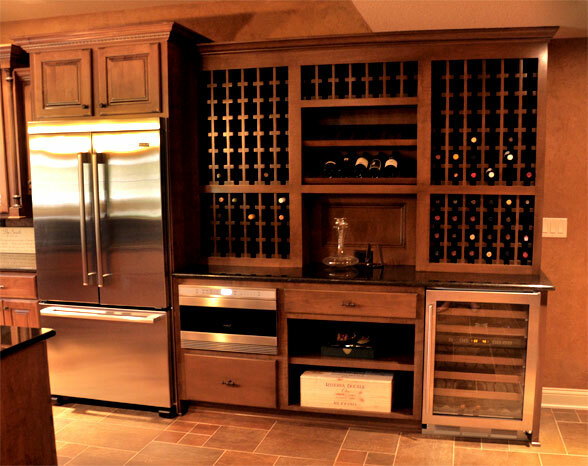 Store and display your wine and liquor with this impressive pair of cabinets. 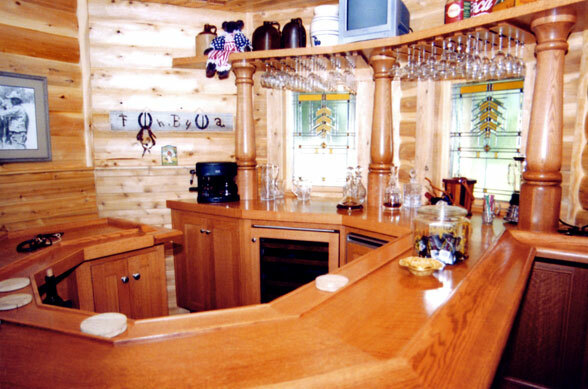 A touch of the old west can be yours with this classic and elegant bar design featuring fine woodwork and details. 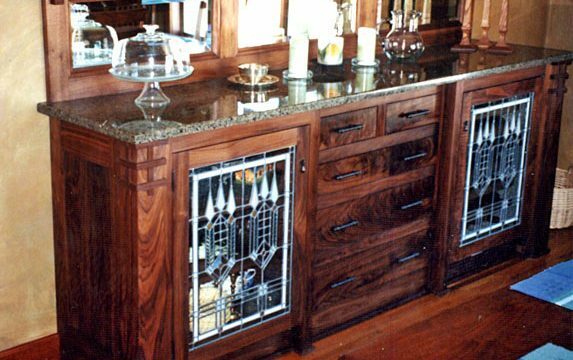 Wine storage and buffet featuring stained glass panels. 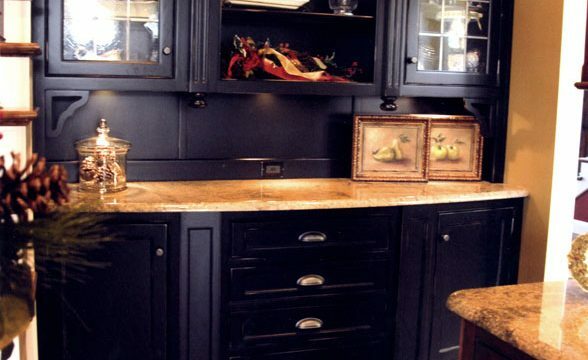 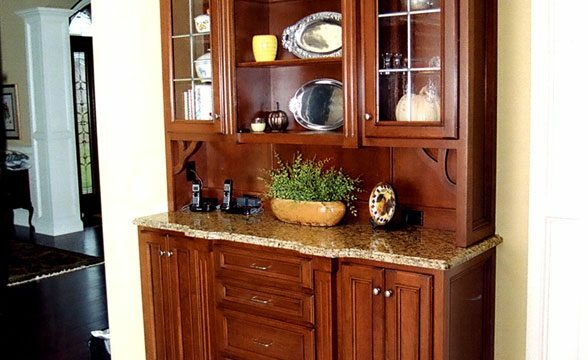 A granite countertop makes this storage more like a showpiece. 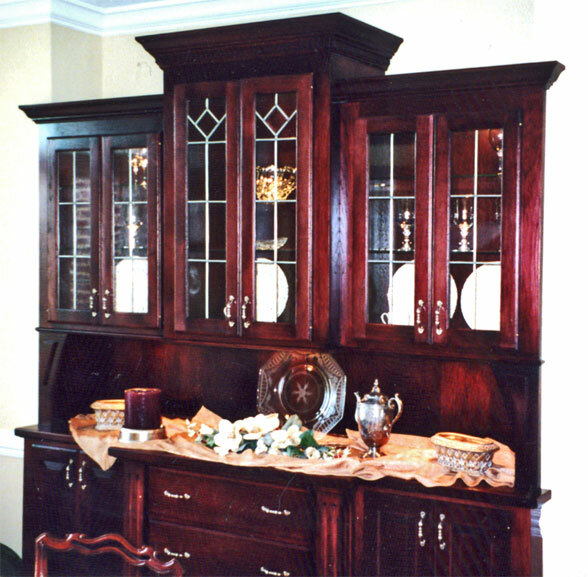 Custom china cabinet with turned details. 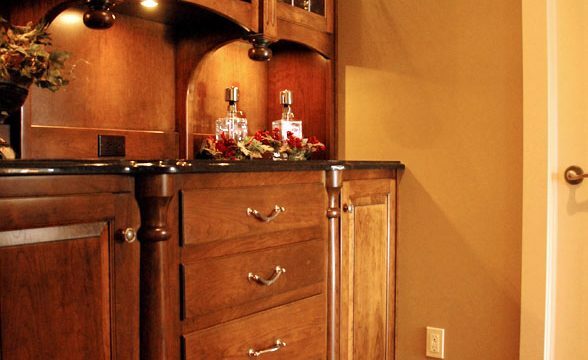 This built-in cabinet features well-designed wood details and rustic drawer pulls. 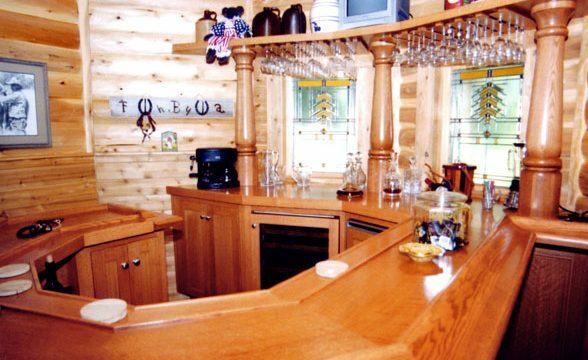 A built-in sink makes this custom bar versatile. Clean lines and classic shapes give an old-fashioned flavor to this bar. 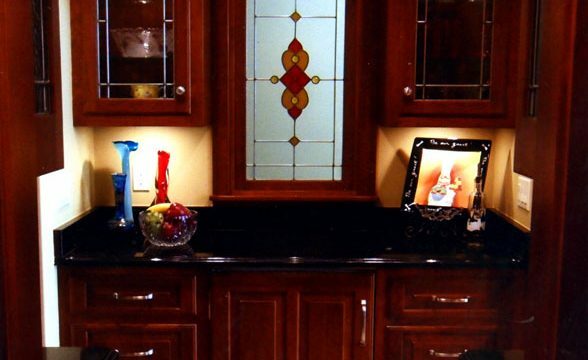 Features under the counter lighting and leaded glass doors. 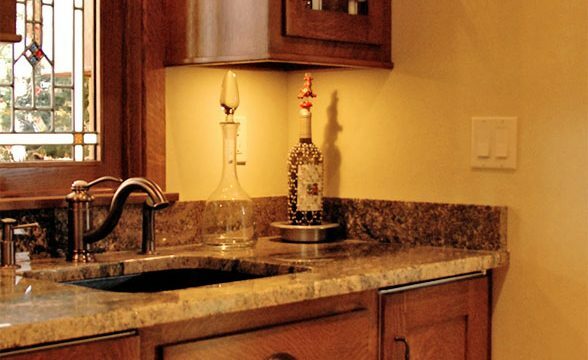 Keep your wine bottles cold and your glasses spotless–all in the same place. 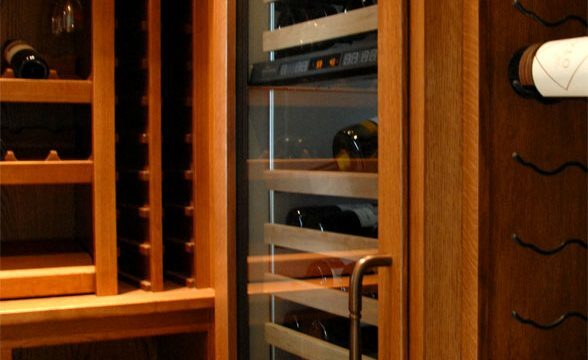 This luxury wine cooler is a must have for any serious wine enthusiast. 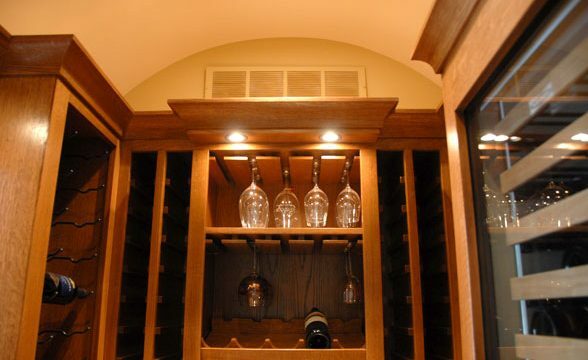 Store your wine glasses with your favorite vintages. 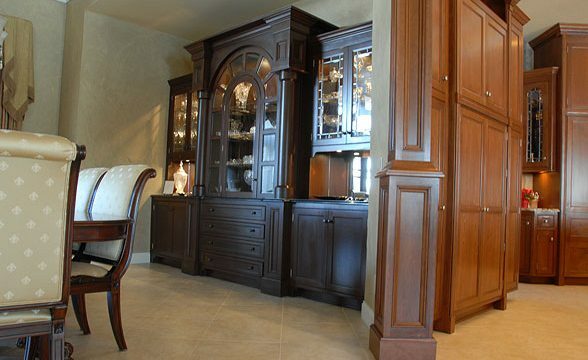 This custom piece is fit for royalty.